Start Me Up! is a compendium of innovative corporate design for a new generation. Brimming with imaginative business ideas that range from a turban tailoring house to an artistically ambitious mattress manufactory, it presents brands that break away from stereotypes through their visual identities. The book also shows that entrepreneurship today is more personal than ever before. 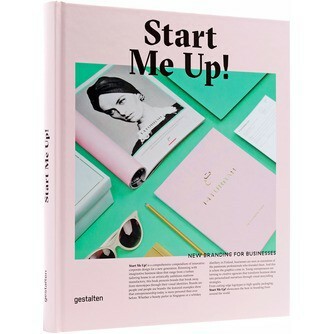 It features outstanding work that results when young founders turn to creative agencies that then transform their business ideas into personalized narratives through visual storytelling strategies. From a beauty parlor in Singapore to a whisky distillery in Finland, from cutting-edge logotypes to high-quality packaging, Start Me Up! truly showcases the best in branding from around the world. 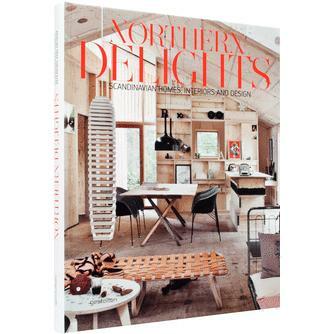 Northern Delights reveals why hardly any other interior or product design is so timeless, so functional, so aesthetic, and of such high quality as that of Sweden, Norway, Finland, and Denmark. The book’s stunning selection of Scandinavian design ranges from individual products to skillfully staged living spaces. Although it also presents iconic designs, the book focuses on the work of young talents who are consciously building upon local sustainable design traditions and further developing them in a way that is consistent, intelligent, and reflects an unerring sense of style. Northern Delights showcases classic, minimal, rustic, and pop styles that are united by their simplicity, functionality, and love of light. The included examples show how the grains of different woods, the clarity of colored glass, the cheery colors of fabrics and patterns, and the overall quality of craftsmanship contribute to creating simple, inviting, and very comfortable spaces. Whether the featured work was created for residences, offices, or any other rooms, in a Scandinavian interior, everyone feels at home. A story about a boy who was a little too big for his boots … Goliath always knew he was special. He was big. He was brave. He was the strongest. He was different! Convinced that his home had nothing more to offer, Goliath headed out into the world to show everyone what he was really made of. But he didn’t look so brave when confronted with the sea and he didn’t look so big when stood next to the Sun. So what does being big and brave mean? And why was he determined to be that way … ? 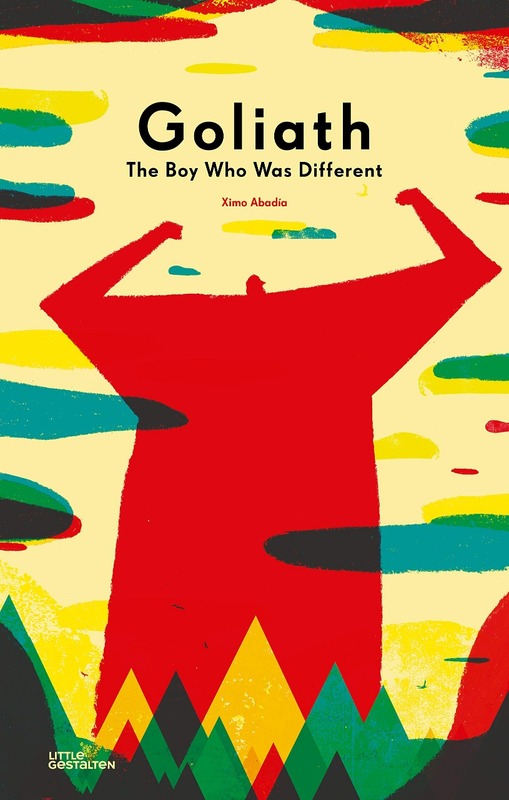 Critically acclaimed author and illustrator Ximo Abadía explores concepts of boyhood, growing up, learning, and the complexities we all face in search of our place. Abadía’s vibrant colours and distinctive modern style invites a new reading of a traditional story. Goliath is a tale that is sweet, funny and utterly charming. The kitchen is the heart of every home. Combining inspiring interior design and professional knowledge, this is a tasteful guide to creating spaces that go beyond mere function. The kitchen is the new living room―not just a place to cook but also to celebrate, share, relax, and live life. Far from being simply food preparation areas, today’s kitchens are as varied as their owners. They come in ­different styles and cater to all occasions. From rustic to industrial, from quirky to Nordic, this book is the essential guide to the incredible diversity on offer. It showcases the most inspiring designs and introduces the producers and innovations at the forefront of the field. Discover how to build sustainably, where to find the best countertop materials or how to decorate on a ­budget. Draw inspiration from a chef’s home in London or a cozy family loft in Tokyo. 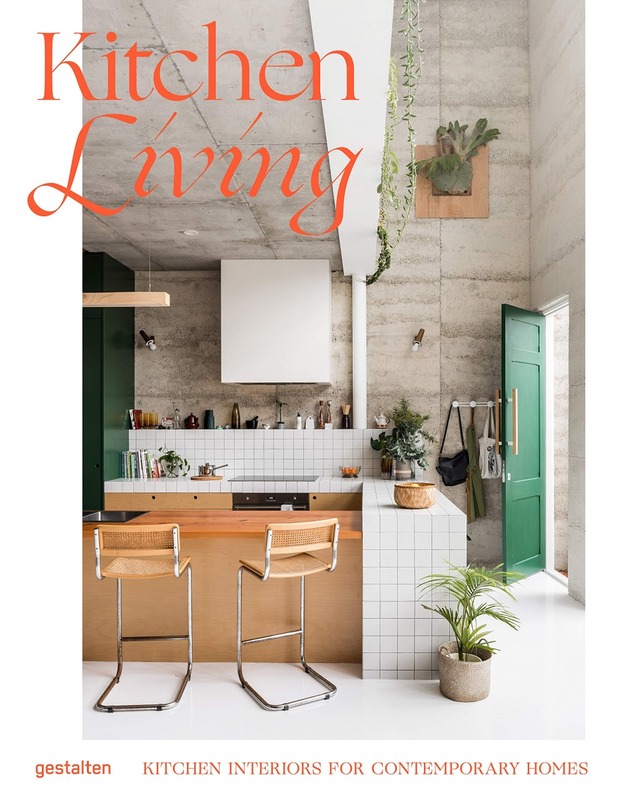 Whether you are looking to make the most of your current kitchen or are starting again from scratch, Kitchen Living will undoubtedly feed the imagination. Wild Naked is a portrait of a millennial woman: part of a generation empowered to explore, think, act and feel freely… The female youth of today. Wild Naked is a visual road trip exploring, nature, youth, adventures, parties, love, friendship and solitude through the eyes of Magdalena Wosinska, a highly sought-after photographer based in California. Travelling and working around the world, Wosinska connects with her surroundings and explores herself both inside and out, documenting it through images. Her dynamic day-to-day is captured together with self-portraits in nature’s most breathtaking landscapes. Discovering her own power is the most revolutionary road to freedom. Being naked, engaging with other bodies and embracing her own life. Stripping back to essentials allows for a deep reflexion about identity―hers is the experience of a lifetime, and the portrait of a whole generation of self-determined women. Make a difference when you travel. Excellent hospitality and sustainable journeys can go hand in hand. New getaways offer amazing design, delicious food and extraordinary experiences while committing to an eco-friendly ­experience for travellers and locals alike. From a remote lodge in the Namibian desert made from shipwrecks that protects endangered wildlife, to a restored hotel in downtown Hong Kong that draws on local tradition, or a guesthouse in Beirut where Lebanese women teach cooking and pass on family recipes for local dishes: no matter where or how, all these hotels combine the highest standards of hospitality with the smallest ecological footprint. 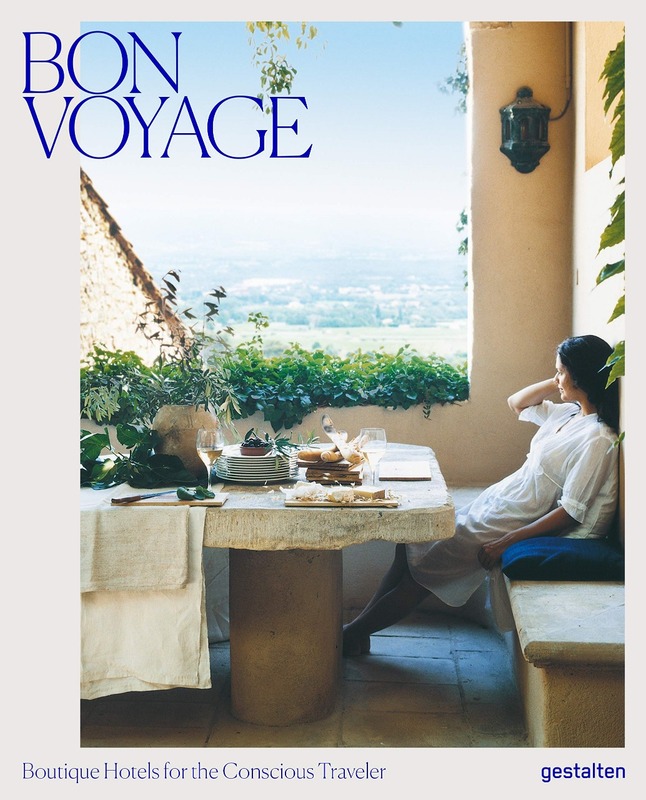 Bon Voyage gives a privileged insight into the shift towards eco-conscious getaways. Relax, enjoy … and make a positive impact! The biggest, the strongest, the fastest, the loudest―Recordmania sets the bar for the best atlas of the world’s incredible records. From mind-boggling feats of human endurance to the unimaginable extremes of the natural world, these pages are filled with records that defy expectations and surprise the imagination. Did you know for example that the fastest recorded skydive was so speedy it broke through the sound barrier? Or that the smallest park in the world was made for a colony of leprachauns? Split into 6 categories and covering everything from sports, architecture, animals, humans, technology, dinosaurs, space, and nature, each category is packed with feats that will delight. Trace out locations across each atlas before delving into the detail behind each record. 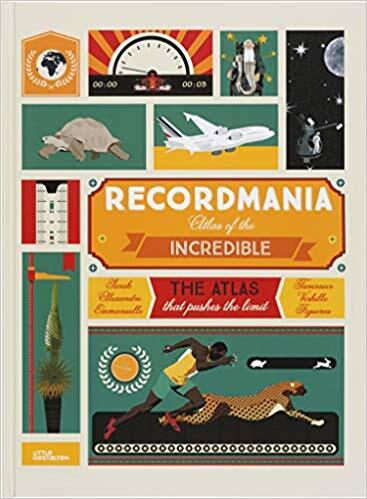 Recordmania: Atlas of the Incredible is cleverly designed and thoughtfully illustrated, the perfect gift for the curious-minded. Poetic spaces, surreal structures and dramatic visions. 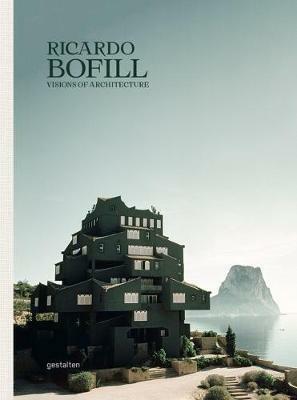 The extraordinary career of Ricardo Bofill is collected in this monograph, which reveals his inspiring approach to architecture, and to life. Ricardo Bofill is one of the 20th century's most unique architects and radical visionaries. With his Taller de Arquitectura he built spaces for everyday life with otherworldly aesthetics, that have been elevated to -iconic status in countless films and images. His visions for urban and communal life -challenged preconceived notions of shared space and proposed alternative styles of living. This monograph explores his revolutionary approach by profiling his greatest projects. Spectacular new photography, texts from experts and from Bofill himself are complemented by working drawings and floor plans. At a time when prevailing styles in architecture are becoming ever more homogenous, Bofill's fantastic creations -satisfy a longing for originality, personality and progressive ideals. 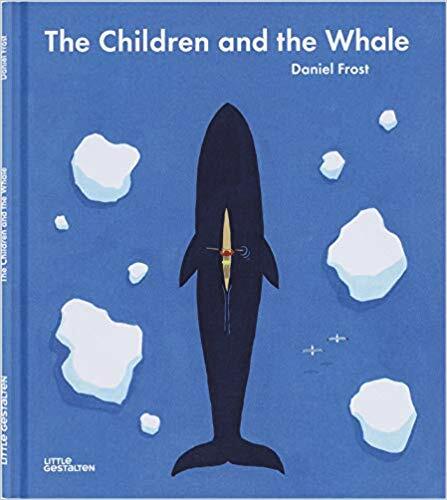 Award-winning illustrator Daniel Frost tells a tale of kinship and beauty in the wilderness of the Arctic Circle. There is an animal in the nearby waters that is six times the size of a house and has a heart as big as a boat, yet no one knows where it roams. This is a place where the waters are vast and deep, the skies breathe magic, and two lost siblings find an unlikely friend. The Children and the Whale is a bedtime story, a magical journey and reminder to enjoy the adventurous moments we create in the world. Contemporary food goes way beyond avocado and quinoa salads. 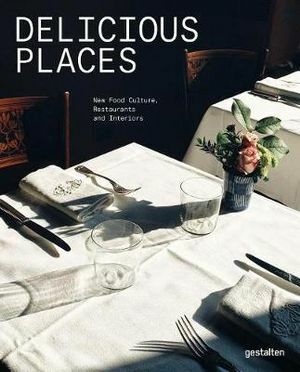 Delicious Places presents the new wave of cafés, restaurants and entrepreneurs that are writing a fresh chapter on culinary culture. Food culture has come a long way. New restaurants, bars and cafés are born out of fresh ideas that, with a clever twist, lead to an -unprecedented culinary experience that -balances location and concept--and ultimately influences a new world of food. Delicious Places collects the examples that execute the business idea in the best possible way. Single-dish restaurants, traditional -pasticcerias, fisherman cooperatives with the freshest produce or high-end restaurants in the mountains. They offer a unique experience that starts the moment you set foot in the door and spans from the interiors to the branding, and behind the scenes to the supply chains and sustainable procedures. Take a seat at the table and feast your senses one by one--the mind will follow.